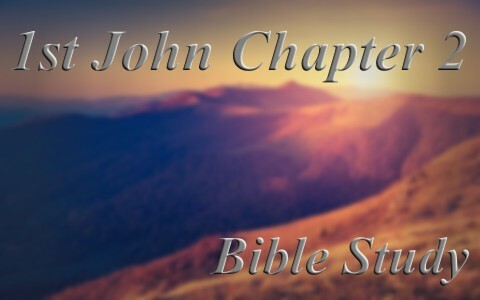 Here is a summary and commentary on First John chapter two. The Apostle John begins with the purpose of writing this letter by stating, “I am writing these things to you so that you may not sin. But if anyone does sin, we have an advocate with the Father, Jesus Christ the righteous. He is the propitiation for our sins, and not for ours only but also for the sins of the whole world” (1 John 2:1-2) even though it’s not “if” anyone sins but when. John is not saying we might not sin but “if” or “when” we do sin, Jesus is our advocate, being the “propitiation for our sins” or meeting the satisfaction of the Father’s wrath against our sins. How do we come to know God? It is of course God’s Spirit that reveals to us Who God is and precisely, Who Jesus Christ is and why we need Him as John writes, “And by this we know that we have come to know him, if we keep his commandments” (1 John 2:3) so anyone claiming to know God and yet doesn’t keep His commandments, John says “is a liar, and the truth is not in him, but whoever keeps his word, in him truly the love of God is perfected. By this we may know that we are in him” (1 John 2:4-5) because “whoever says he abides in him ought to walk in the same way in which he walked” (1 John 2:6). It makes no sense to say you love God but don’t keep His commandments. Of course, we’re not saved by keeping the commandments but a saved person will naturally be inclined to obey the God that saved them by doing what He tells them! Jesus gave the new commandment and John is simply repeating it here. This new commandment is to love one another as Christ loved us and still does so “Whoever says he is in the light and hates his brother is still in darkness. Whoever loves his brother abides in the light, and in him there is no cause for stumbling” (1 John 2:9-10). Clearly, “whoever hates his brother is in the darkness and walks in the darkness, and does not know where he is going, because the darkness has blinded his eyes” (1 John 2:11) because how can someone claim to love God but hate God’s children? 1 John 2:15-17 Loving the World or Loving God? Anyone that loves the world, meaning the things that are in the world has a severe problem because we are told to “not love the world or the things in the world. If anyone loves the world, the love of the Father is not in him. For all that is in the world—the desires of the flesh and the desires of the eyes and pride of life—is not from the Father but is from the world” (1 John 2:15-16). It is not possible to be caught up in the desires and passions of the flesh and claim to know God because it “is not from the Father but is from the world” since “the world is passing away along with its desires, but whoever does the will of God abides forever” (1 John 2:17). Someone who loves the world, which is passing away, is obviously not doing the will of God and thus, will not abide forever. The Apostle John warns the church and by extension he warns us that the hour has already come that there are many antichrist’s in the world. The prefix “anti” simply means “against” or can mean “in place of” so anyone that is not for God, as Jesus said, is against Him (Matt 12:30). For those who leave the fellowship of the believers, which is the Body of Christ, the church, they reveal that “they were not of us” since “they would have continued with us. But they went out, that it might become plain that they all are not of us” (1 John 2:19). Some claim to be backslidden but they may have never really slid forward in the first place, revealing that they were never truly saved. I had a Jewish man once tell me that Jesus has already arrived on the earth and another said that “the Messiah is yet to come” so whoever believes Jesus is not the fulfillment of the Messiah, foretold in dozens of Old Testament Scriptures is not a Christian but is set against Christ or an antichrist (small “a” and not the Antichrist). There is no room for debate on this critical issue. The Apostle John makes it clear by asking, “Who is the liar but he who denies that Jesus is the Christ? This is the antichrist, he who denies the Father and the Son. No one who denies the Son has the Father. Whoever confesses the Son has the Father also” (1 John 2:22-23). If you deny Jesus is the Christ (Messiah) then you are actually an antichrist. This is not my personal opinion but what the Word of God says. I gave a sermon once that used this reference in John where I said that every one of us will have to give an account of what we did in the body while here on earth and there are some, I am sure, who will shrink back in fear at His appearance, knowing that they’ve been a nominal or lukewarm Christian. John warns us that “when he appears we may have confidence and not shrink from him in shame at his coming” (1 John 2:28) and there will be no confidence then since “everyone who practices righteousness has been born of him” (1 John 12:29) but everyone who doesn’t, cannot have this confidence. 1 John chapter 2 should be a wake up call for all of us who are either undecided about Jesus or who are living in sin and yet claim to know Him. We can’t say we know Him and not obey Him. Whoever knows Him will strive to obey Him; no, not perfectly, but they will be living, reading, and obeying His Word. If not, they will have no confidence on the day of His appearing and it will “become plain that they all are not of us” (1 John 2:19). Make your election and calling sure (2 Pet 1:10), and do this before its too late (Rev 20:12-15). Related reading: Are the Ten Commandments Still Relevant Today? Next post: What Is The 4th (Fourth) Commandment In The Bible?